So it's Friday again and time for a new Challenge #135 on Fussy & Fancy. This challenge is being hosted by the lovely Celine and sponsored by Freshly Brewed Designs. 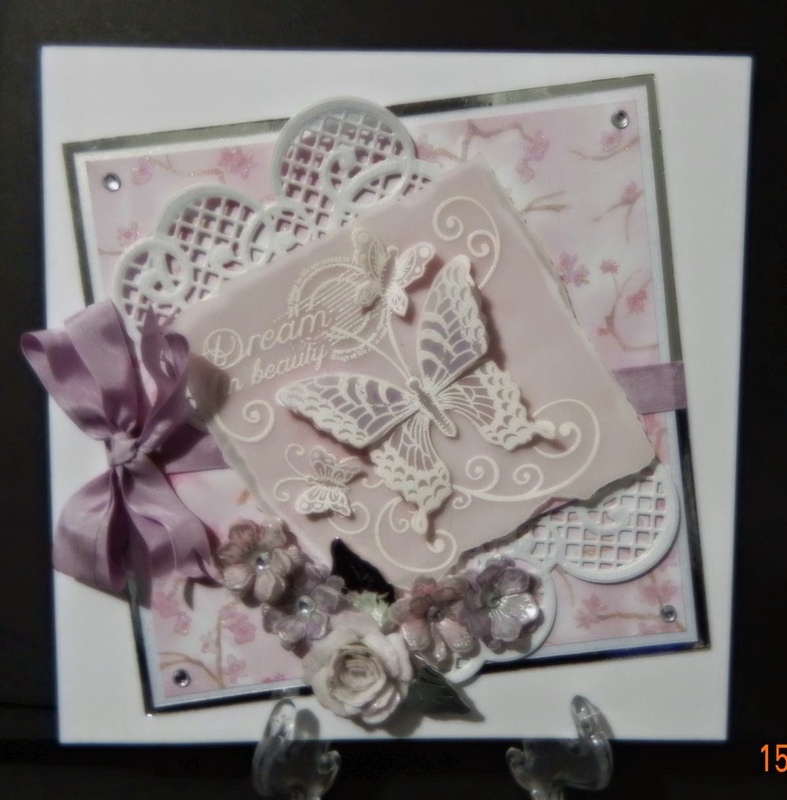 Celine has decided that this challenge should be 'Girly', a lovely theme for all those pretty stamps, colours and embellishments. 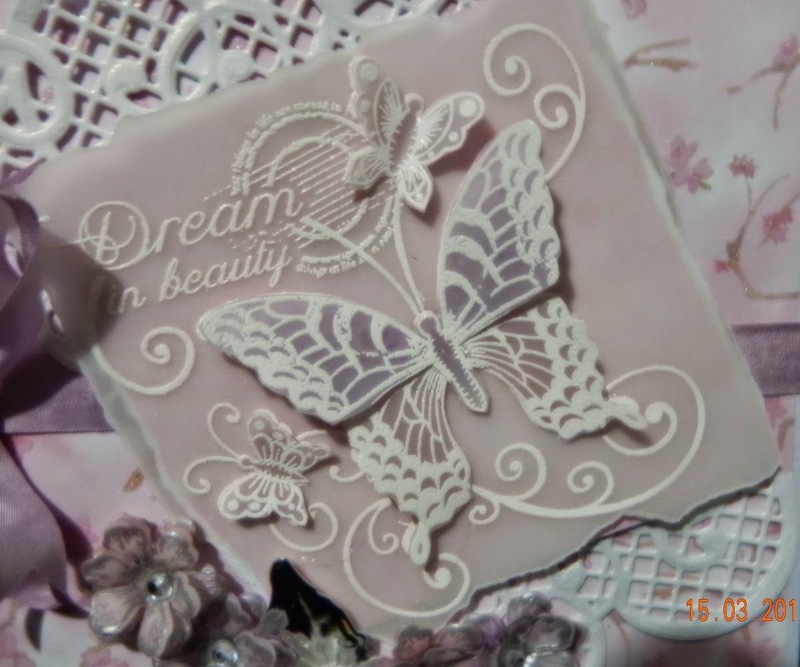 I have used a beautiful new Heartfelt creations stamp, it is so detailed and so I stamped it onto vellum three times , using Versamark inkpad and white embossing powder. I then decoupaged the butterflies which I had coloured from behind with pink & purple oil pastels. I tore the edges of the background to give it a different look, the white lattice diecuts are cut using Heartfelt Creations dies. All these elements were mounted onto a pretty pink and lilac patterned paper finished off with some ribbon, gems and flowers which had been stamped and diecut in white vellum. It was a very quick and easy card to make .... I hope you will enter this challenge and show us your take on Girly cards entering is so easy you can find out more here the winners are chosen randomly so everyone has a chance of winning whether your a beginner or a more experienced crafter ...why not give it a go our design team love visiting your blogs and leaving a comment for you. Beautiful Annie!! So many lovely layers and details!! You're so lucky that you are able to sit in your garden...we are still a little chilly here for that but fingers crossed that soon we'll be able to as well!! Have a most wonderful day and fabulous weekend! !